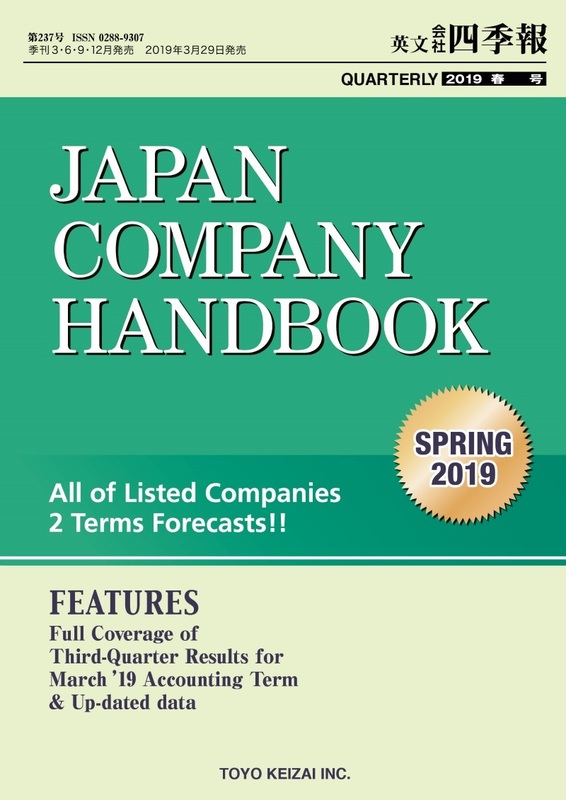 (JCH) is a widely-acclaimed quarterly publication on Japan's leading companies, provides a brief history, background information, a performance outlook and latest financial data on each of companies listed on all of Japanese stock exchanges. This edition covers 3,724 companies' earnings forecasts revised until March 15, 2019. 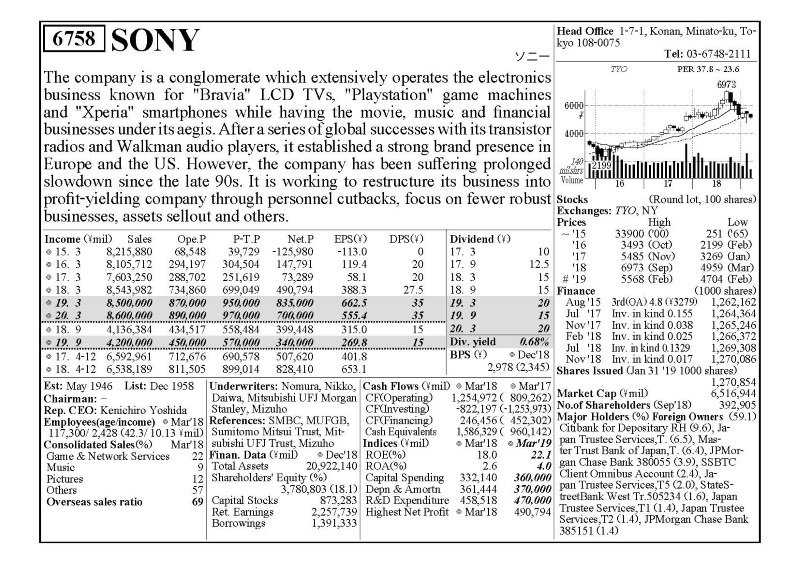 The JAPAN COMPANY HANDBOOK covers 3,724 companies listed on Tokyo stock exchange and local exchanges and devotes a half page for each company with a chart (for 41 months) of stock prices. The JAPAN COMPANY HANDBOOK is extensively reviewed four times a year. Toyo Keizai's experienced analysts cover all listed companies and give the handbook original earnings estimates. Toyo Keizai's earnings estimates are reputed to be highly accurate by many investors through various financial information vendors such as Thomson Reuters, Bloomberg, etc. The JAPAN COMPANY HANDBOOK is highly regarded, not only by individual investors, but also by brokerage firms, institutional investors, and other professionals, as their most preferred source of information on investment. It is widely used by foreign brokerages and financial institutions as well. It is an indispensable tool for company researchers and those doing business with Japanese corporations. About the publisher: TOYO KEIZAI INC.
Copyright©Toyo Keizai Inc. All Rights Reserved.